I’m having a hard time admitting something. It all started about 2 months ago when I was in bed. I picked up a favorite magazine to read and it happened. My eyes seemed tired and blurry. I felt like there wasn’t enough light in the room. I ended up putting the reading down and turning the light off — blaming the heat for drying the house. And my eyes. This week I bought reading glasses. Alas, another glowing sign of my four-plus decades of existence. To this point, I’ve always bragged at my eye doctor’s summary. I had 20/20 vision. I could read all the lines on the chart and I often challenged the family to read small signs before I could. I always won. Seeing great distances was my standard of great vision. But now, ironically, I can’t see things close to me. It occurred to me this week that in ministry (or business) we have a “seeing” problem too. It’s rare that we can actually see perfectly. Farsightedness: I can still see at great distances. Literally and figuratively. I can see the “forest” sometimes better than the “trees”. Being a goal-setter, I love envisioning the distant goals accomplished. Entrepreneurs have this uncanny ability — it drives the melancholy around them crazy. If we only concentrate on the completed tasks, we lose sight of the critical steps to achieve them. Often, we forget the people committed to doing those tasks too. 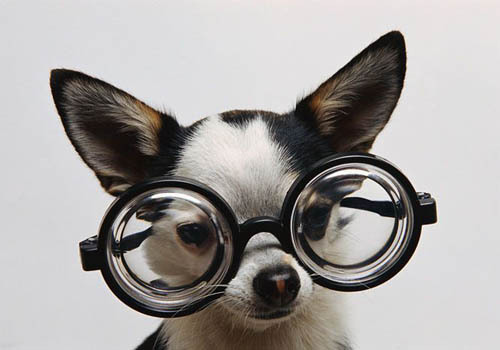 Nearsightedness: Ah yes, the “trees” do matter! I often get so enthralled with the tasks I’m doing, and I place so much worth on them, that the overall objective gets blurry. I’m busy with the urgent that the important steps lose priority. My day becomes full of individual tasks; and I never feel like I’m finishing anything! Today I’m putting on the right pair of glasses that brings important things into focus. What do they look like? Sometimes, I feel like I need coke-bottle glasses because my focus is so wrong. I’m praying that in 2011, I push the daily tasks into the priority I need to accomplish the “god-sized” tasks of the future. I admit it. I’m getting old. Now I just have to work on wisdom.